It controls my dandruff and dry flaky scalp the best. The only problem I have is that my hair is super frizzy. I have to use a flat iron even if I blow dry it. That is a problem that I'm okay with because it keeps huge flakes from showing on my scalp. It is embarrassing how bad my flakes are. I've tried lots of conditioners, but they make my scalp super greasy. I choose to stay with just the Head and Shoulders even with the frizzy hair. I have extremely dry skin. My skin flakes off my face, especially my nose. This has really helped so that I can wear makeup and not having it cling to those patches. I ordered this off Amazon. The packaging is nice and you only need maybe half the dropper to coat your whole face. I got this because it said it was a moisturizer. It is semi-thick, and it makes your skin feel great when you put it on. However, after a couple hour it will start pilling off your skin if you rub your finger over it to itch or something. Kinda like if your skin is dry and you rub it when it is slightly wet, you can rub the dead skin off? That is what this does, but with very little effort. I went online to find out the ingredients and can't find them anywhere. I'm guessing the only reason it feels moisturized is because it has silicone in it. I'm going back to my Cerave moisturizer. It is inexpensive and the best I've found. It has gotten rid of the red bumps I had on the underside of my upper arms. Save your money on this one. It's almost $10 for a sample/travel size and almost $30 for the full-size, which are both very small. For this price of this mascara, I'm not in love with it like everyone else. I bought the tester, at $12, and I will be returning it. I have hooded eyes and I found the product extremely wet. I immediately got transfer on my upper lid. It gives these claims about how big my lashes will be, but honestly, I put Benefit's They're Real on one eye and The BTS on the other eye and couldn't tell the different. I will use the Benefit because I don't get smudging and transfer as soon as I apply it. My favorite Halloween candy. It's the first thing I look for in my kids bag. There are five different flavors of bottle caps. My favorite is the root beer. Great back color that will stay all night unless you're wiping at it. I really like it. 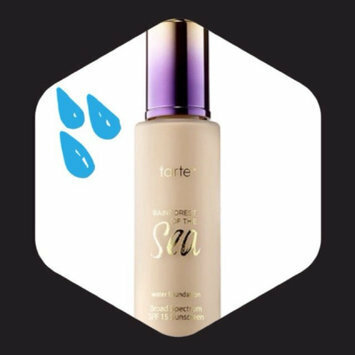 Love this for a light weight full coverage foundation. It won't cake or crease on you all day long. Your skin looks like skin.